Bras d’Or Collaborative Environmental Planning Initiative leads the discussion on sustainable practices across industry sectors for Bras d’Or Lakes with Fall event, “The People of the Lakes Speak: 2016 CEPI Sustainable Practices Conference for Bras d’Or Lakes”. Eskasoni, Unama’ki (Cape Breton, NS) – October 13, 2016 – Collaborative Planning for sustainable development of Bras d’Or Lakes will continue with a fall conference in Baddeck, NS. Building on the current work of the Unama’ki Institute of Natural Resources from two successful workshops held as a response to the Cape Breton First Nations Chiefs in 2003, the Collaborative Environmental Planning Initiative (CEPI) will host The People of the Lakes Speak Conference on November 8-10, 2016 at the Baddeck Inverary Resort and the Wagmatcook Culture and Heritage Centre. The event will bring stakeholders together to focus on defining “sustainable practices” for the communities of the Bras d’Or Lakes watershed, inspire movement towards best practices in sustainable development for communities and examine how best practices towards sustainable development can be key drivers in economic development. CEPI is pleased to announce the keynote speaker for the event, Dr. David Suzuki, will close the conference on November 10th with a luncheon presentation on the importance of sustainability for the future and the impact sustainable practices will have on the Bras d’Or Lake Region. 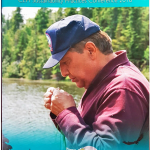 In November, 2005 the Bras d’Or Charter was signed by all the Mi’kmaq communities, municipal, provincial and federal agencies which committed them to the Bras d’Or Lakes Collaborative Environmental Planning Initiative (CEPI). The spirit of the Charter is the collaboration: one eye on past history and teachings and one eye on modern science (Two Eyed Seeing). All agencies work together, bringing their statutes, expertise and interests to the group, information and ideas will be shared. This conference will be held in keeping with the spirit of the Charter and build a path forward for putting sustainable development around the Bras d’Or Lakes.